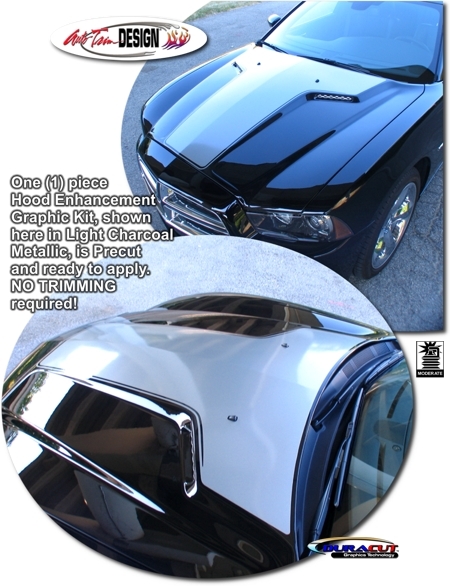 Toughen up your Charger with this awesome Hood Graphics kit. Kit is PRECUT and ready to install - NO TRIMMING required - and is available in a wide variety of colors! This kit is specifically made for the BMC Extreme Customs #BMC-11CHRGRCLR Hood that fits the '11-Current Dodge Charger and will not fit any other vehicle.